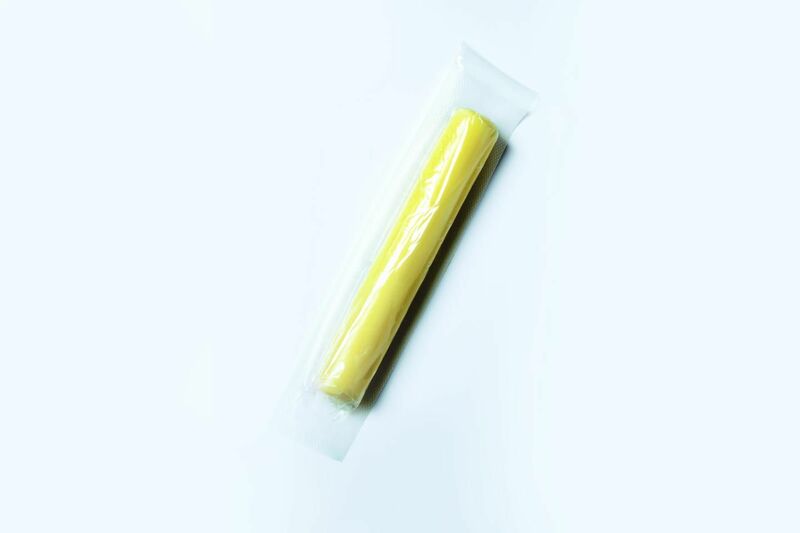 School cafeterias have long been the setting for raucous debates over a very important question: How do you eat string cheese? The short sticks of cheese individually wrapped in single servings have stirred hostility for years between the stringers and the biters. But in the near future, the conversation might have an entirely new focus: a wrapper you can bite right into and eat along with the cheese. Researchers at the United States Department of Agriculture are developing packaging made from casein, a protein found in milk. The biodegradable film is not only completely edible—even nutritious, with the extra protein it would provide—but also able to protect oxygen-sensitive food from spoiling longer than a standard plastic film by blocking oxygen roughly 250 times better. Plus, it could reduce plastic waste. Research leader Peggy Tomasula, research scientist Laetitia Bonnaillie and their colleagues have been experimenting with types of casein, additives and processes to produce films for a variety of uses. When it arrives at their lab, casein is in powdered form. They add water and, since it’s not particularly soluble, use a magnetic stirrer to mix it for two hours. They then add glycerol, an edible compound that acts as a plasticizer, making the film more flexible so it won’t snap when you bend it. In some cases, they add citrus pectin, derived from citrus peels, to make the packaging stronger and more durable in humidity and higher temperatures. After vacuuming the bubbles from the solution, they spread it on a silicone baking mat, like one you might buy at a kitchenware store, and let it dry in a chamber calibrated to have a consistent temperature and humidity. Once the sheet is dry, they peel it off and let it sit for about a week before testing it. The researchers won’t yet reveal the full slate of possible applications while patents are pending. But in addition to wrapping single-serve cheese sticks, a more soluble version of the film could be used for instant coffee packets that dissolve in hot water (and make the coffee a bit creamier even before adding milk) or powdered soup packets, especially for “cream of” soups. The individually wrapped portions would have to be packaged in a larger container to avoid contamination and contact with liquid while in storage or transit. The solution that the researchers mix before drying it into films could also be used as a spray or a glaze that adds protein, keeps foods fresher and offers an alternative to sugar coatings. The spray could keep cereal flakes crunchy, for example, or make food wrappers or containers grease-proof, eliminating the less-than-appetizing oil stains on pizza boxes. The glaze could coat nuts, which oxidize and get stale very quickly, or cereal bars. Food manufacturers might use the glaze to add flavor, vitamins, probiotics or antibacterials, some of which can’t be baked into foods without losing their potency. Bonnaillie emphasizes that because the solution and films are made from a milk protein, any product using them would need to be clearly marked for consumers with allergies or other dietary restrictions. This is why most of the potential applications she describes are for products that already include dairy or, like coffee or cereal, tend to be paired with dairy. The researchers have already heard from about a dozen companies interested in their work, and Bonnaillie predicts the packaging might be on store shelves in roughly three years. And with the option to add flavoring right into the edible packaging, kids might soon be arguing over the best wrapper variety rather than the cheese.